I have always been somewhat wary of Schiffer’s military books, some are absolutely brilliant and worth every penny (Mr Churchill’s Tank springs to mind) whilst others have left me feeling a bit flat without me ever quite working out why . 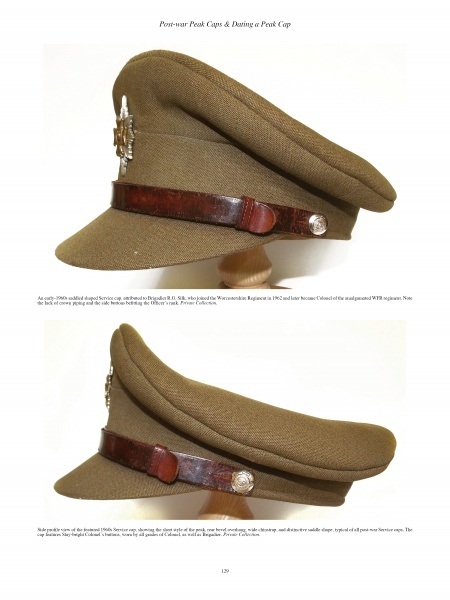 It was therefore with a degree of trepidation that I purchased Oliver Dorrell’s British Officers’ Peak Caps of The Second World War. Happily my fears were ungrounded and the book turned out to be an excellent purchase. The book is hardback and printed on high quality gloss paper, with a separate dust jacket and overall on first picking it out of the box from the seller I was struck by the quality of the materials used and its general feel of being something a bit special. The look and feel of a book is of course secondary, it is the content that matters. Here we must be honest and say that the contents of the book do not exactly match the title- they exceed it. Whilst the title indicates the primary focus of the book is the Second World War, the contents actually cover how to recognise WW1 examples and post war examples and the book thus has a broader appeal than the title would suggest. This then is pretty comprehensive and I am pleased to say that within each chapter detailed descriptions are given of materials, construction, linings etc of the cap and all are illustrated with high quality photographs. The only slight niggle is that sometimes the body text refers to an example and it is a few pages further along requiring a bit of flipping back and forth, however this is a minor formatting issue and does not detract from the book itself. 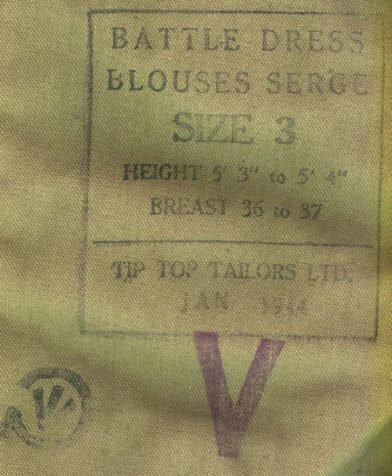 The sections on dating caps are particularly useful, as those of you who read my post on the RAF officer’s cap a few days ago will have seen. I sat down and read this book through for this review, but I suspect most will use it as a reference book and refer to it as and when needed for items in their collection. As such it is an invaluable addition to the serious collector’s book shelf. Like most Schiffer books it is not cheap, however it must remembered that this is a beautiful quality book, on an obscure topic and presumably with a fairly limited print run. As such $69.99 does not seem unreasonable, indeed it often surprises me that some collectors are willing to lay down very large sums on their collection, but balk at paying out for reference books that will save them thousands in the long run on duff purchases! Whilst this book is not for everyone, if this is a subject area that interests you or you are a collector of these caps I cannot hesitate but to recommend it. The book is available on Amazon here and some good bargains can be had from marketplace sellers. 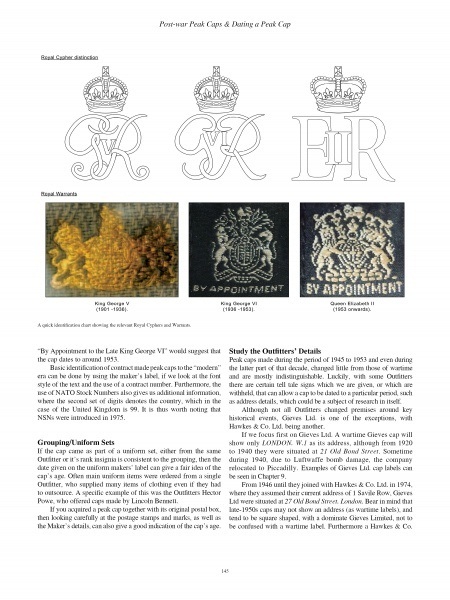 This entry was posted in British Army, Headress, Research, Reviews on September 10, 2015 by hatchfive. 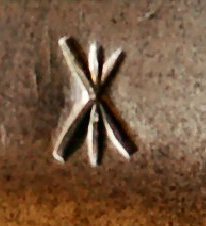 The broad arrow or ‘crows foot’ ordnance mark has been used on British Army equipment since at least 1553 and is a helpful way of determining if everyday items are civilian or military in origin. 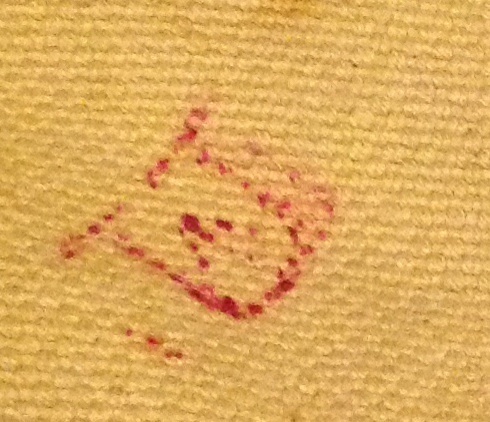 There are a number of variations on this mark and hopefully this post will make it a bit clearer to collectors. 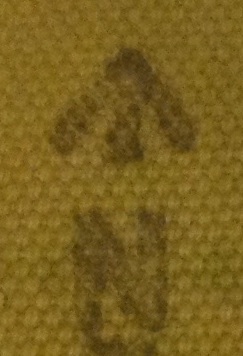 As regular readers will know I use /|\ in text to represent the broad arrow and hopefully this will be easy to follow. 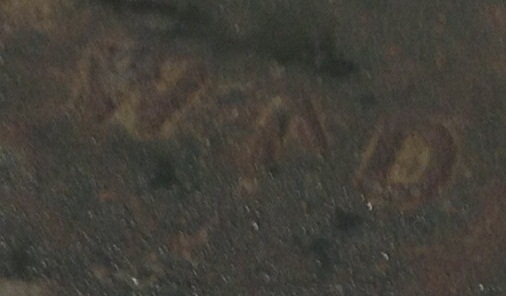 Logically enough New Zealand went for ‘N /|\ Z’: These marks are still in use today, though they are not seen as commonly as they once were. 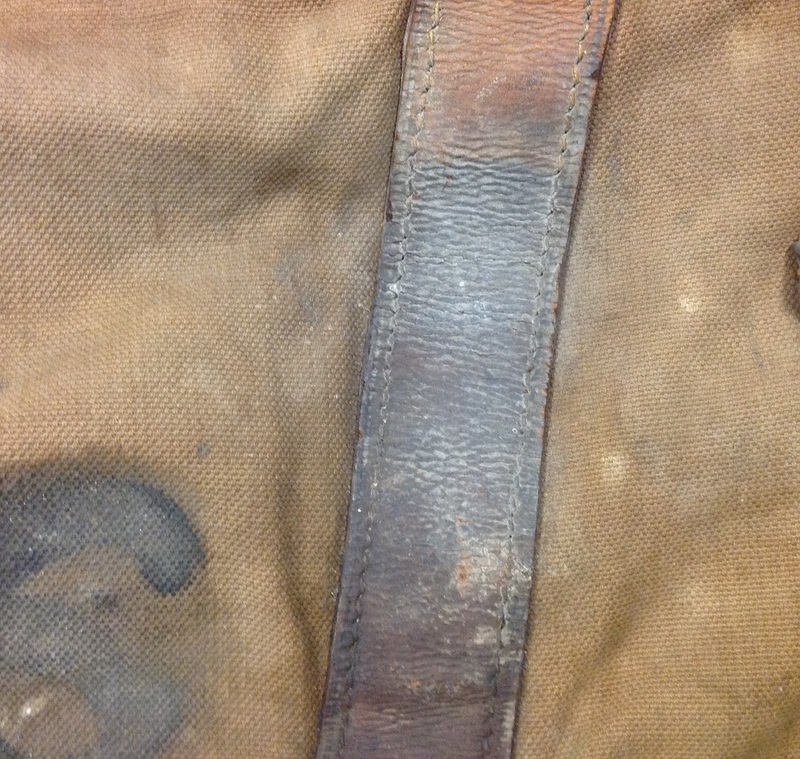 This entry was posted in equipment, Research on August 30, 2015 by hatchfive. If anything captures the essence of the final decades of Empire it is the Wolseley Helmet; this iconic headdress being worn by soldiers, sailors and airmen of the British Empire in tropical outposts throughout the first half of the twentieth century. At first glance these helmets are much of a muchness, but closer inspection reveals a myriad of different variations in the hats themselves and even more variety in the pugarees and badges worn on them. As with so much of British Imperial history, the Wolseley Helmet slipped into obscurity for decades, this book is the first published work on the subject and is likely to remain the ‘bible’ for collectors for many years to come. 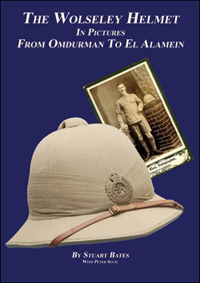 Stuart Bates and Peter Suciu’s book, The Wolseley Helmet in Pictures: From Omdurman to El Alamein’, is a lavishly produced book on this most obscure of subjects. 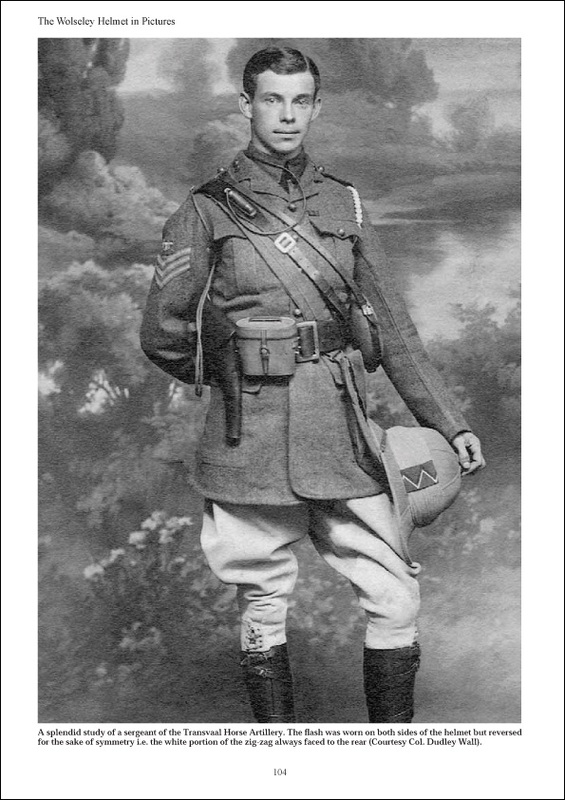 It combines a mixture of period photographs with detailed images of surviving examples from private and museum collections: The photograph reproduction is superb and one photograph in particular, a mule dressed in boots, Wolseley Helmet and 08 webbing, is almost worth buying the book for on its own! The original photographs are a nice mixture of on campaign photographs that show the helmets in use and studio photographs that allow them to be seen in greater detail: Whilst the photographs are superb and make up the majority of the book they do not stand in isolation, a well researched text accompanies them setting out the evolution of the headdress, variations in manufacture, obscure experimental types and the helmet in Australian, Canadian and foreign use. 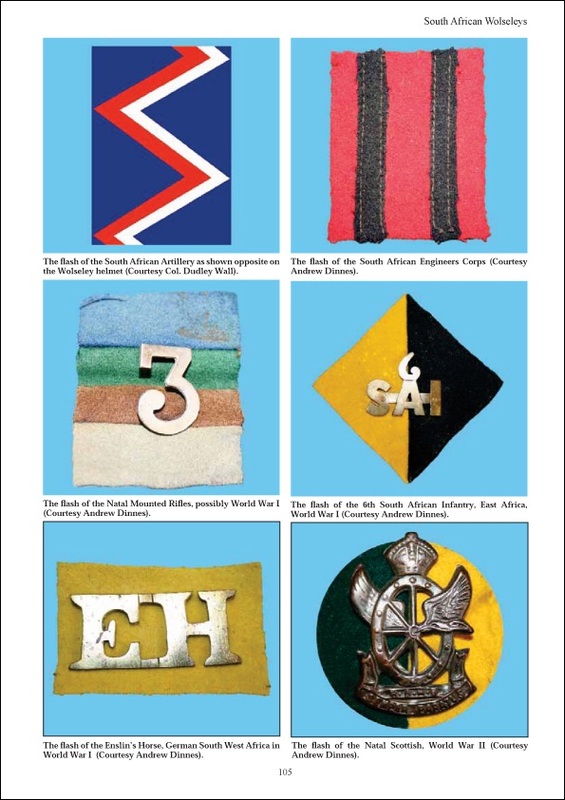 It is however the sheer breadth of examples that makes this book so special, with numerous regimental variations, officers and other ranks and even photographs of the only two known survivors of WW1 economy Wolseley Helemets made from straw. 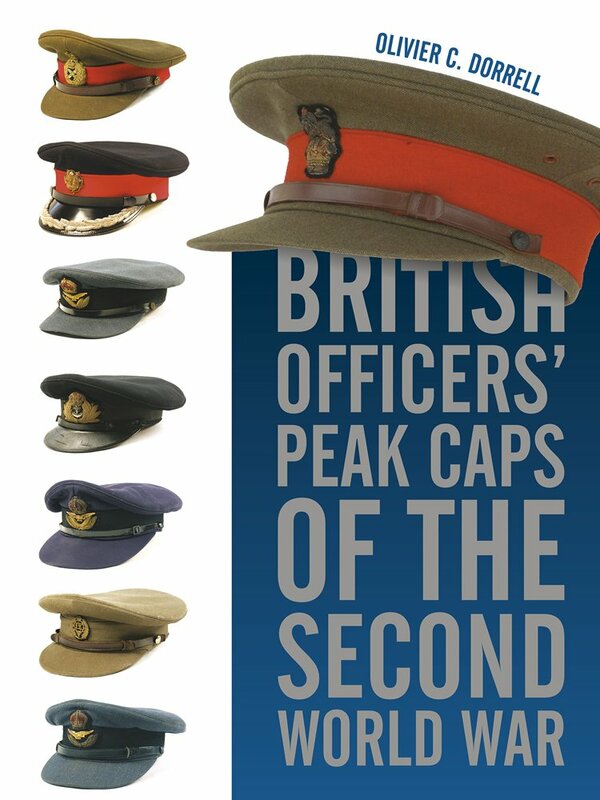 The focus of the book is the army, the RAF and Royal Navy only have a single example for each service, however as the helmets used by them were basically only of a single type, this is not a problem. Alongside pictures of the helmet, other illustrations show some of the range of side flashes and badges: This book is a nice companion piece for the authors’ other work on Military Sun Helmets of the World, this book covers the British Woslely Helmet, the other takes a broader worldwide look at all military sun helmets in a myriad of designs and is more generalist. Sadly this book, published n 2009, seems to be hard to get hold of now; I tracked my copy down to the Gloucester Regiment Museum’s online shop which seems to be the only stockist this side of the Atlantic. As with many high quality militaria books this is not a pocket money purchase but I felt £29.99 was a good price for a limited run book that covers such an interesting and obscure area of collecting. 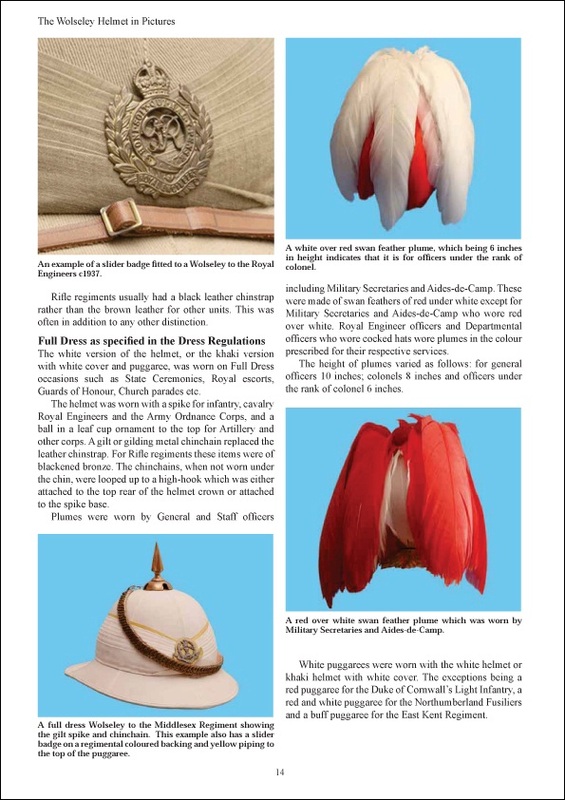 If you have an interest in the uniforms and headdress of the British Army I cannot recommend this book highly enough, but I would imagine stock is now very limited so it would not be wise to hang around! 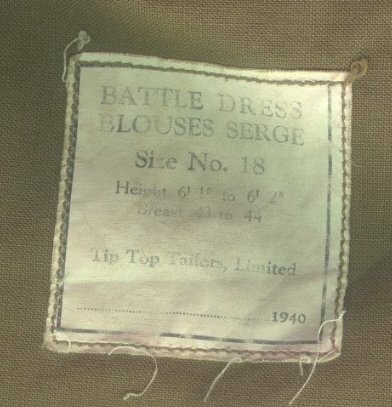 This entry was posted in British Army, Headress, Research, Reviews on July 29, 2015 by hatchfive. 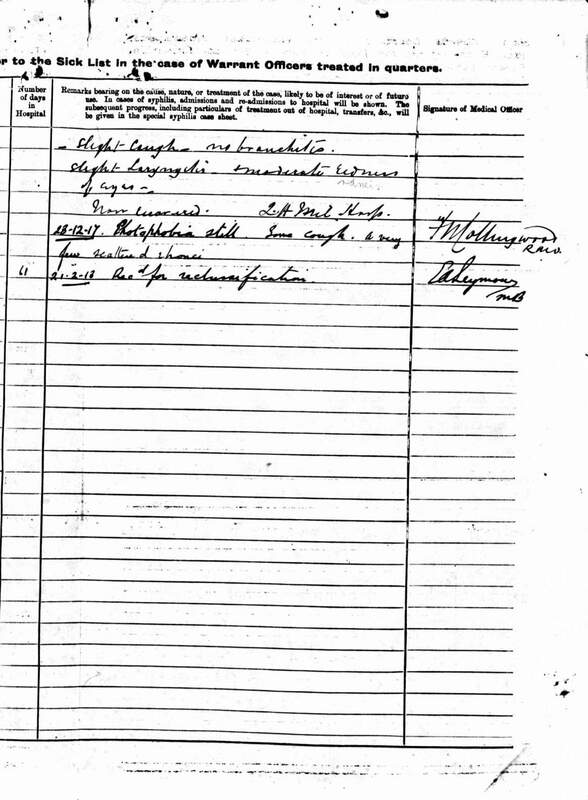 William Arthur Davenport was born on 22 October 1881, son of the Rev. E. Davenport of Wellington College. He was educated at Marlborough where he distinguished himself in the Shooting VIII. 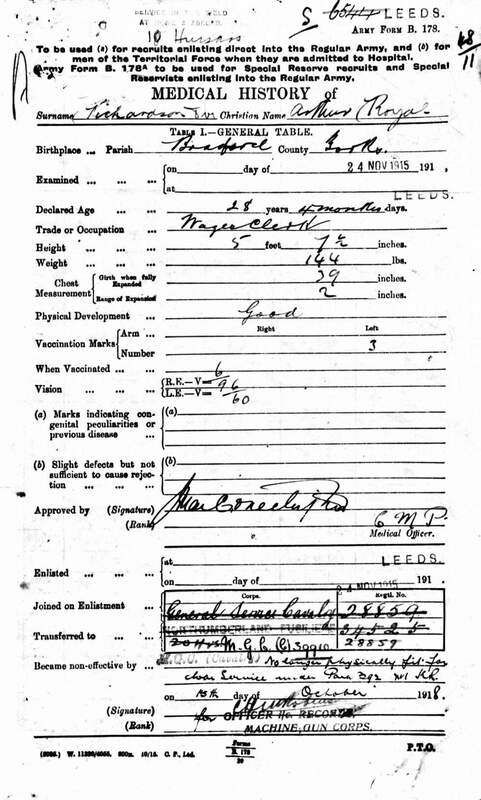 He was gazetted 2nd Lieutenant in the West Yorkshire Regiment in 1903 and promoted to Lieutenant in 1908 and, in February 1912, was seconded to the Egyptian Army in which he was to serve, apart from the first fourteen months of the war, for the next twelve years. 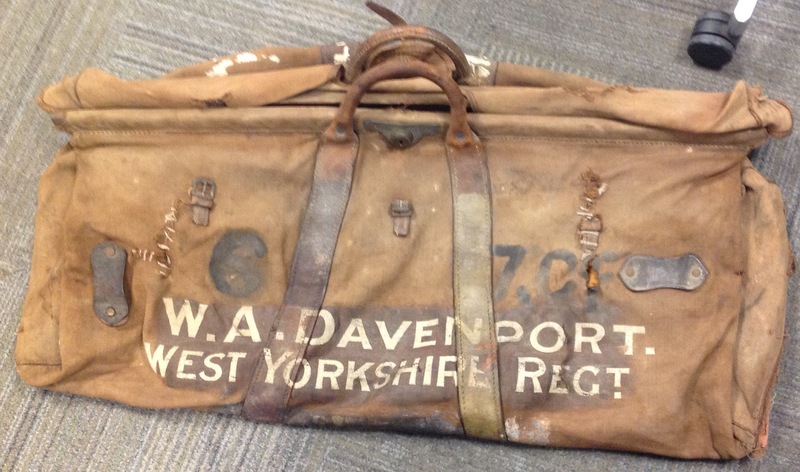 Davenport first saw active service in Gallipoli in 1915 whilst serving with the combined 1/7th and 1/8th Cammeronians (Scottish Rifles) battalion. 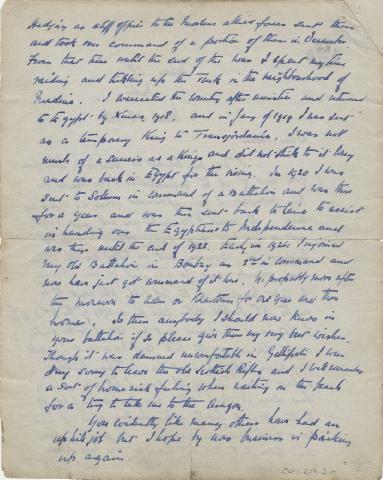 Following the evacuation, he returned to the Egyptian Army and served in the Equatorial Battalion which fought in the Imatong and Lafite Mountains in the Sudan (Mentioned in despatches, Order of the Nile). 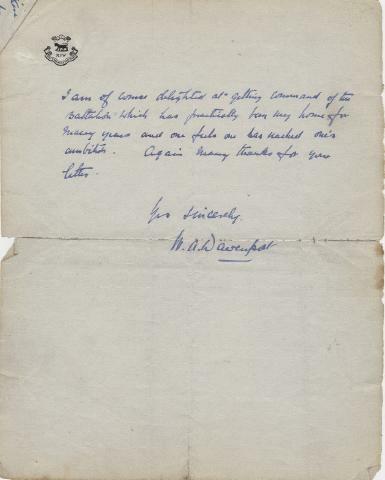 After the war Davenport commanded the 4th Egyptian Battalion in Cairo, and was afterwards employed as an intelligence officer, in which capacity he rendered invaluable service owing to his great knowledge of the conditions and topography of Upper Egypt. 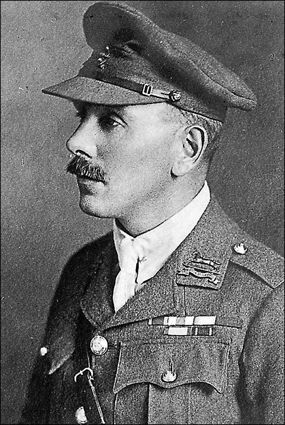 Colonel Davenport rejoined the 2nd Battalion of his regiment in Bombay, as Second-in-Command, in 1924, and succeeded Colonel Spencer in command at Mhow in February 1928. 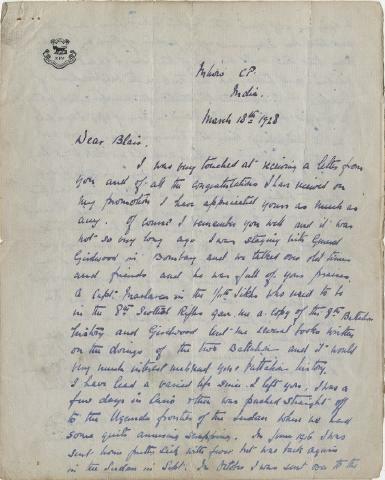 Leaving India in March 1929, he brought the 2nd battalion to Khartoum to introduce them to the scene of many of his past episodes and to many of his old friends. He then brought the battalion home to land at Southampton in December 1929, and to finish his Regimental service at Strensall. He retired from the army in 1932 and moved to Stroud in Gloucestershire, where he became a prominent member of the local scout movement. During the Second World War he raised and commanded the 5th Battalion, Gloucester Home Guard, for which services he was awarded the O.B.E. All in all this bag has to be one of the most interesting items I have picked up this year and well worth every penny! 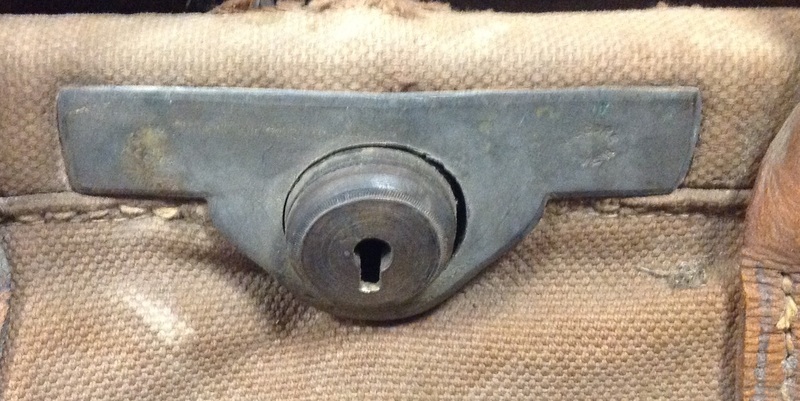 This entry was posted in British Army, equipment, Latest Pick Ups, Research, WW1 on June 9, 2015 by hatchfive. 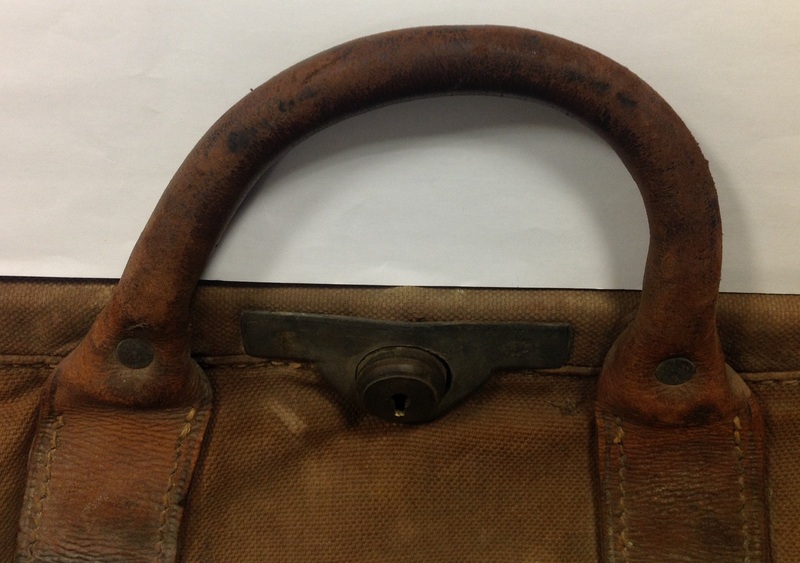 It is always nice when it is possible to add a story to an item in my collection. Tonight’s uniform jacket is one such case. 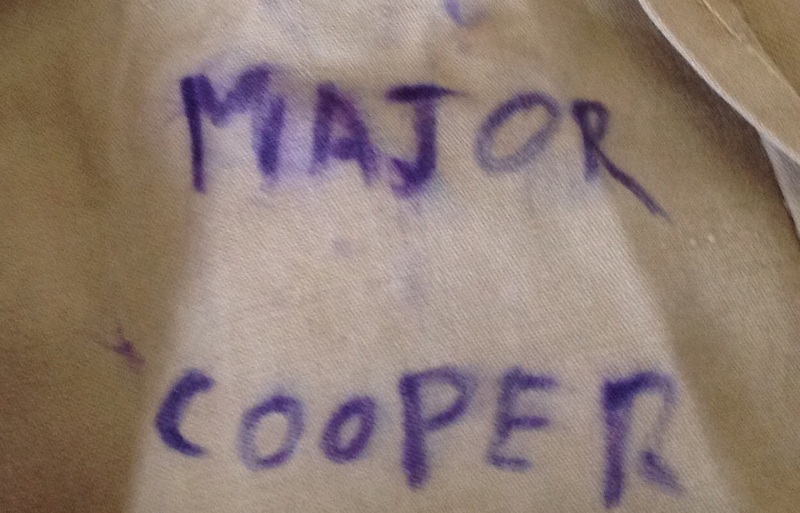 I bought this officer’s KD service dress jacket without any buttons or insignia a couple of years back: The only clue was a name written inside in indelible pencil for a ‘Major Cooper’: Thanks to the help of fellow collectors it was possible to establish a likely candidate to be this Major Cooper. 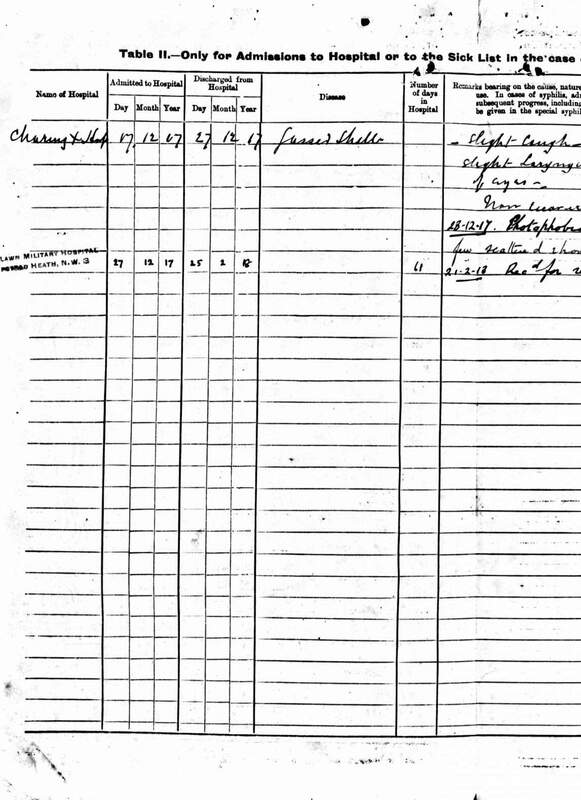 There were only two Major Coopers listed in the (admittedly incomplete) rolls of officers for WW2. 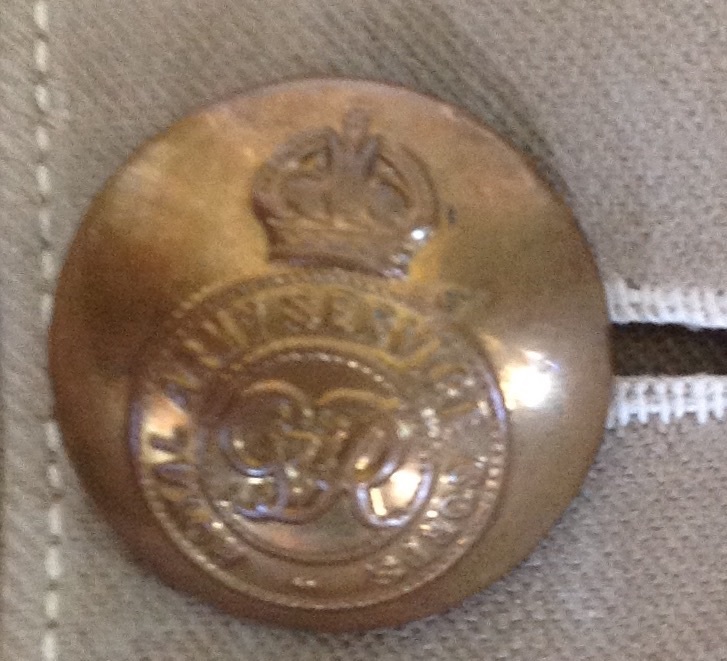 As one of these was in the Guards (with different button arrangements on their uniforms) the most likely candidate was a Major Eric Holmes Cooper. 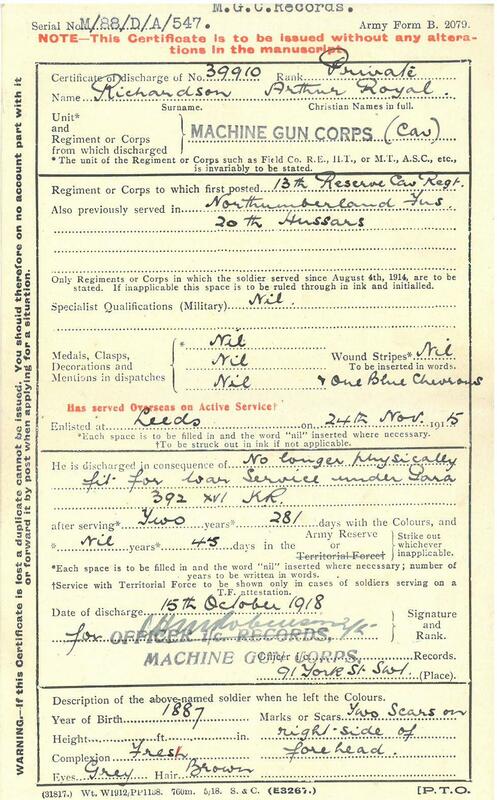 The records indicate that Major EH Cooper had been born on 7th February 1914 and was educated at Corpus Christi College in Cambridge in 1933, before commissioning into the Royal Army Service Corps Supplementary Reserve of Officers on 3rd September 1938. He was promoted to lieutenant on 1st January 1941, to Captain on 8th August 1942 and was made a temporary Major on the same day. 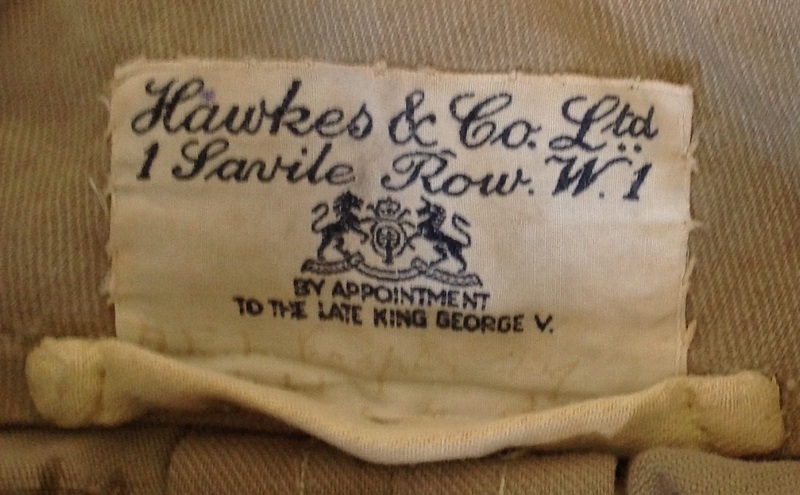 This timeline would fit with the uniform as it has a label mentioning the ‘Late King George V’: This would suggest that the jacket was bought in the few years after the King’s death in 1936, and certainly before the middle of the Second World War. 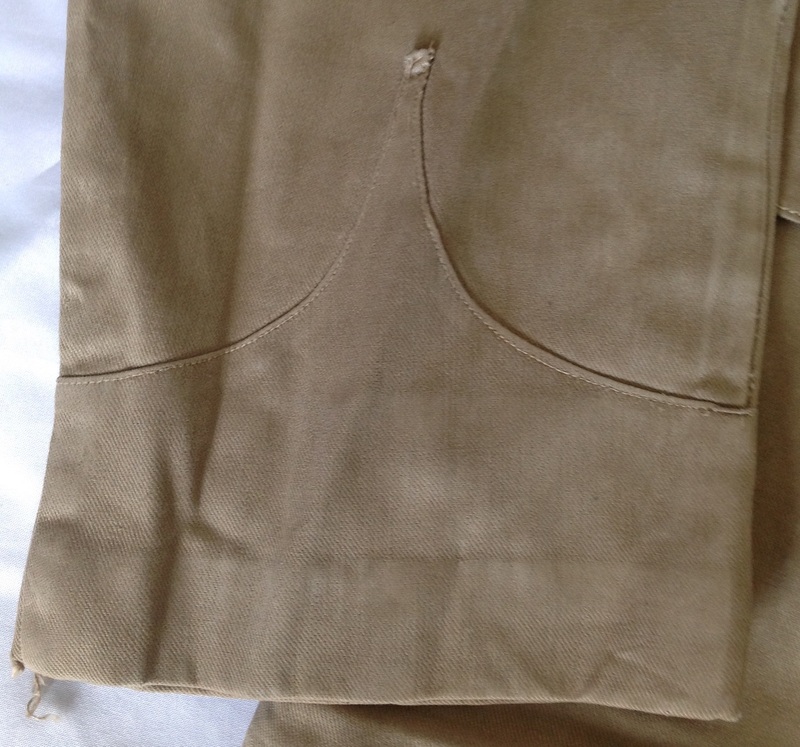 The shoulder straps each have two neatly sewn holes for the rank of a lieutenant, and a third pair of holes more crudely punched through, suggesting they were to add an extra pip when he became a captain: With this information and the help of a fellow collector, the uniform has been refitted with RASC buttons: And collar dogs: Some points to note about the uniform are the scalloped cuffs: And small loops of fabrics above the left breast pocket to allow a set of medals to be worn: This uniform is a close copy of the barathea officer’s service dress jacket worn in the UK, but made of KD cotton. 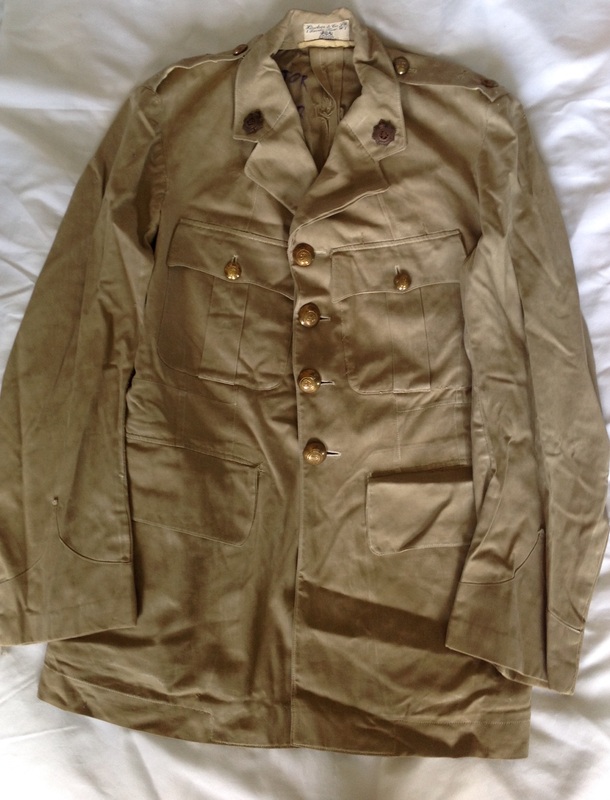 The jacket has four pockets and there is evidence it has been starched at some point, presumably to make it as smart as possible for parade wear. 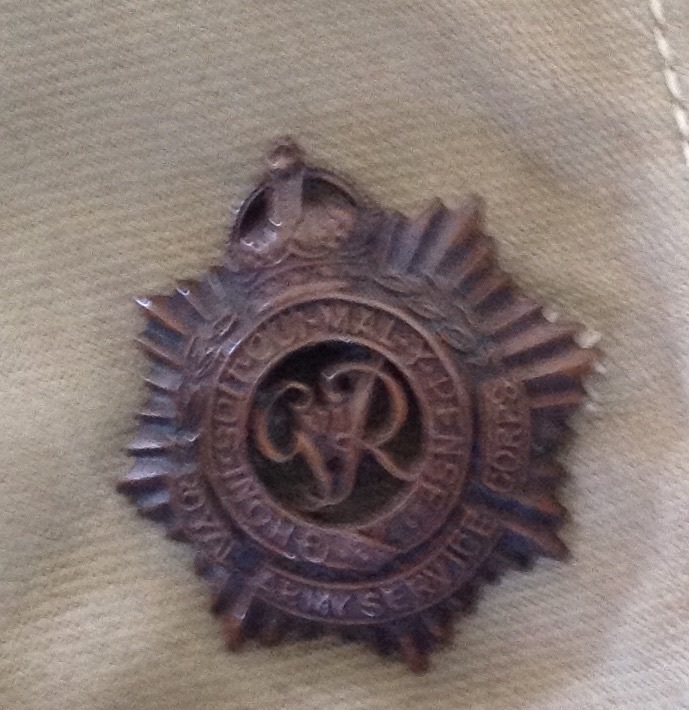 Major Cooper stayed in the army for a short period after the end of WW2 and was mentioned in dispatches in May 1946 and awarded the Army Emergency Reserve Decoration in December of the same year. He had married Squadron Officer Beatrice Stewart-Black WAAF in 1935, but they were to have no children. He died in July 1991. 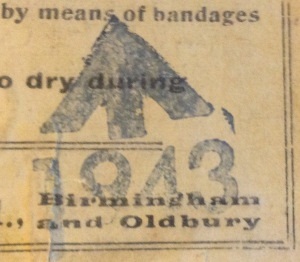 This entry was posted in British Army, Research, Uniform, WW2 on June 7, 2015 by hatchfive. This list comes from a period stores catalogue, but I have transcribed it for clarity. 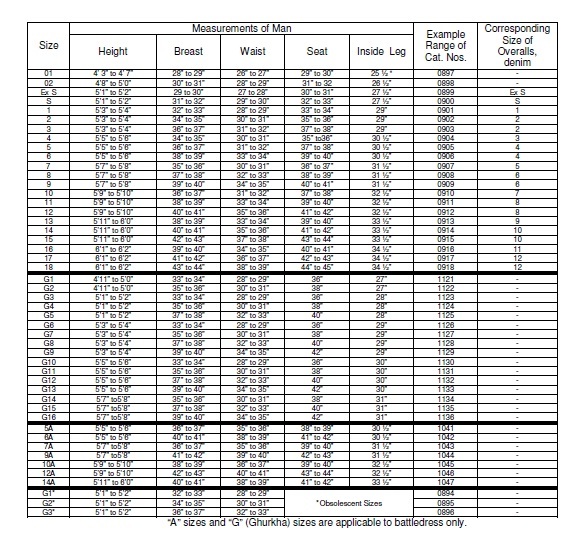 Sadly this list only covers men’s uniforms; women’s uniform had its own sizing system to take into account the different shape of male and female bodies. If anyone has a list of female sizes please let me know and I will add it to the post for reference. 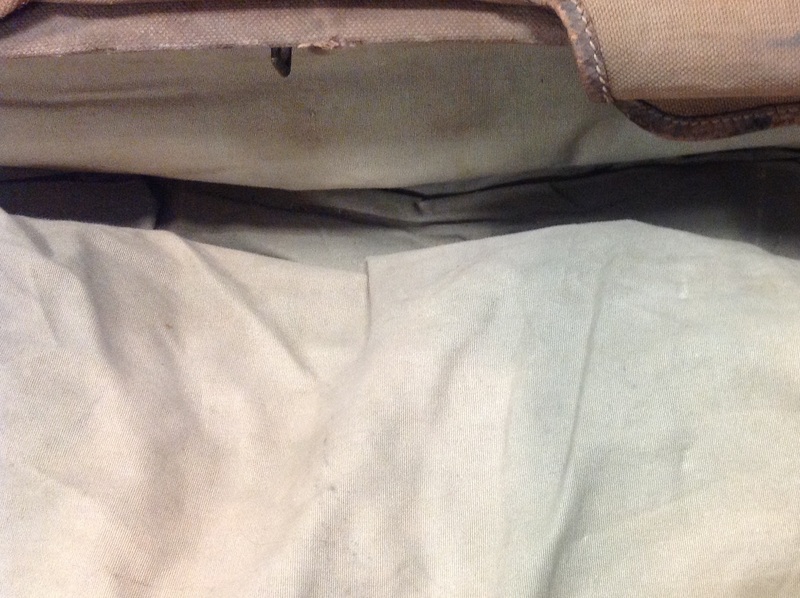 This entry was posted in British Army, Reenactment, Research, Uniform, WW2 on May 23, 2015 by hatchfive. 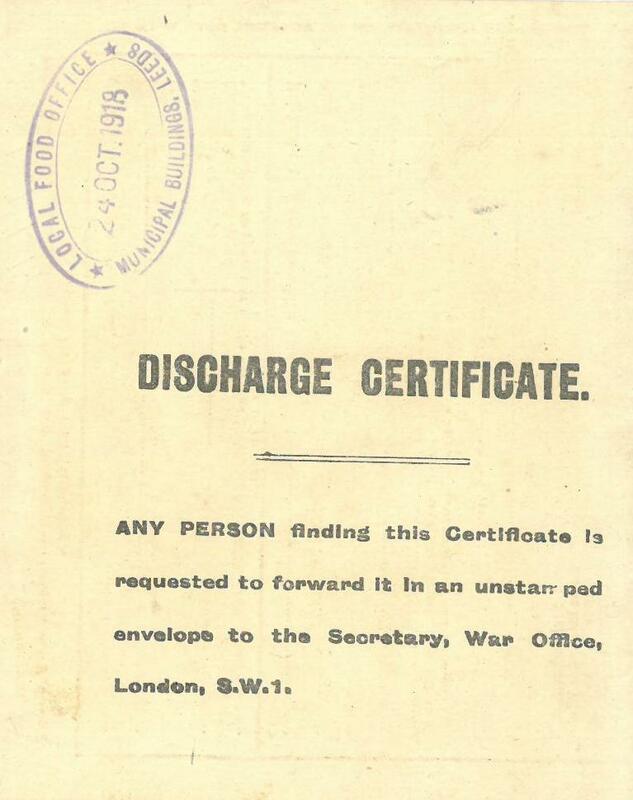 Presumably this was when he was issued a civilian ration book, the document being used as evidence that he was no longer a serviceman. 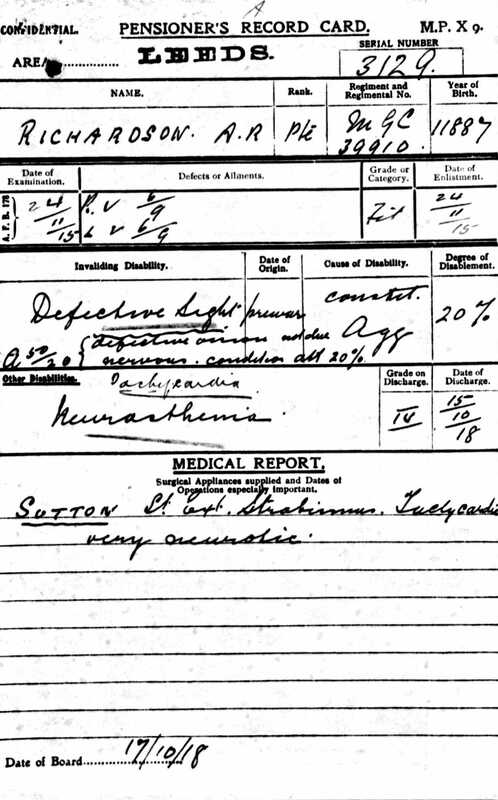 Helpfully Private Richardson’s medical and pension records still exist in the National Archives (not always the case unfortunately) and more details of his wounds can be seen. 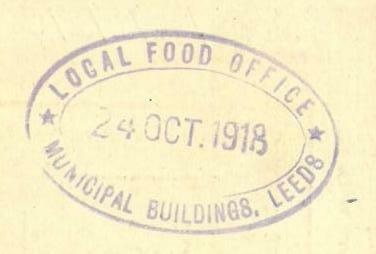 He is described as having lost 20% of his visual acuity: This record is dated 17th October 1918, directly between the date of issue of the original Discharge documents, and the stamp on the cover from the Leeds Food Office. As can be seen from the documents above, there is a human story behind many items of ephemera and it is these personal stories that bring home why we collect and preserve these artefacts for future generations. The national collections and archives cannot hope to preserve everything, they have neither the budget nor the space, so it is left to those of us who collect to preserve, respect and pass on these important objects and stories for future generations. 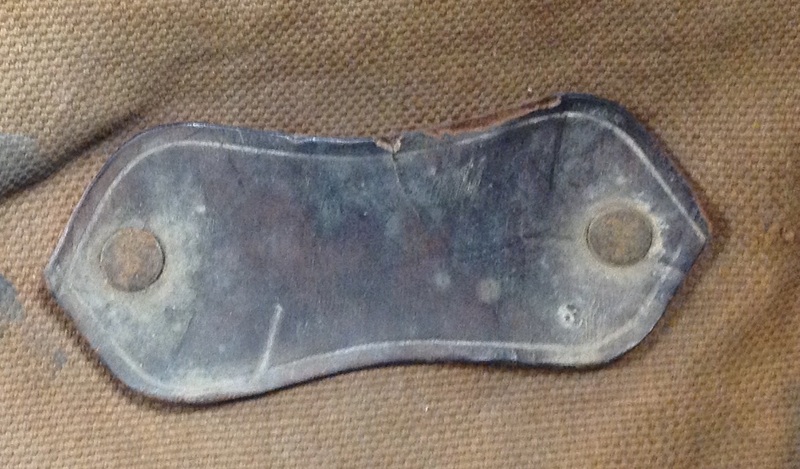 This entry was posted in British Army, Documents, Research, WW1 on February 6, 2015 by hatchfive.